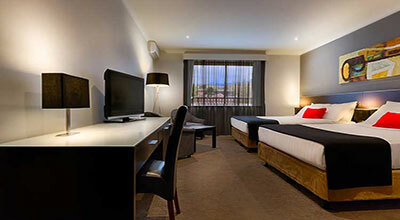 Hotel style accommodation with ensuite bathroom and reverse air conditioning. No window in room. 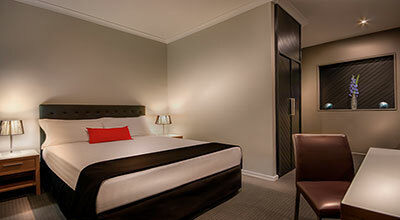 Newly refurbished hotel style rooms with ensuite and reverse air conditioning. Maximum occupancy is 4 people. 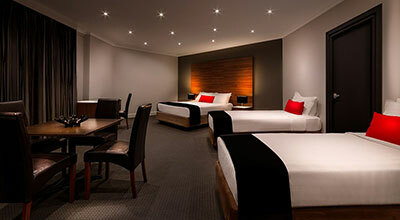 For a little extra, upgrade to our Deluxe Spa Suite offering a more spacious floor plan and extra special amenities. 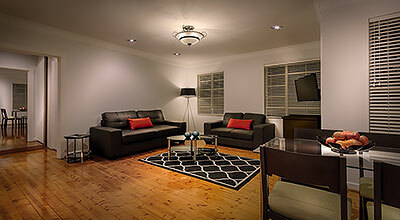 Crest on Barkly Apartments provides the ultimate get away accommodation. 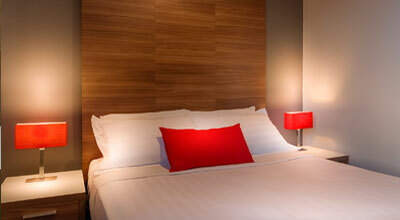 Offering 1, 2 and 3 Bedroom Serviced Apartments perfect for leisure or corporate market. Self contained apartments with kitchen facilities.